Dress your daughter in style, comfort, and warmth in The North Face Riit Pullover Fleece for girls. The North Face designed the Riit out of 100% recycled polyester Sherpa fleece that has a DWR (durable water repellent) finish. The DWR finish will help to keep your daughter dry as moisture arises. The Riit features an elastic binding around the hood and cuffs to keep heat contained and your precious little one warm. The kangaroo pocket will keep hands warm along with storing great finds and toys. The cute contrasting fabrics will have any girl loving this fleece. 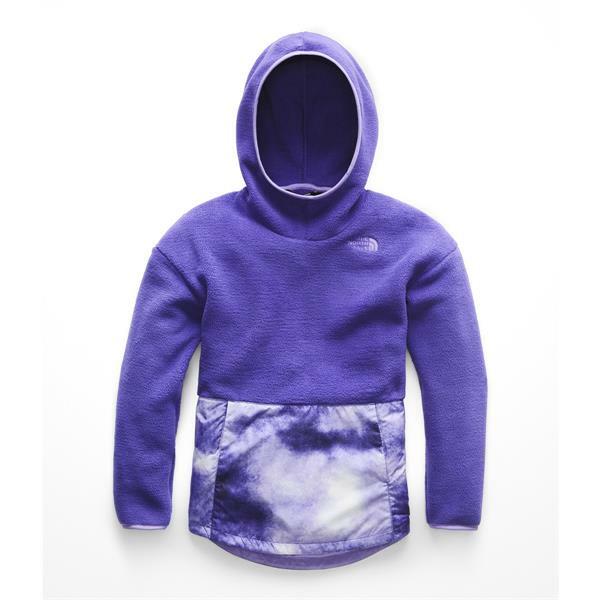 This season style your girl in the cute and warm The North Face Riit Pullover Fleece for girls.